Bringing scent to life online has never been done before? Hello? Is this thing on? Now, does this seem like money for old rope? Or an exercise in meta-meta-meta? 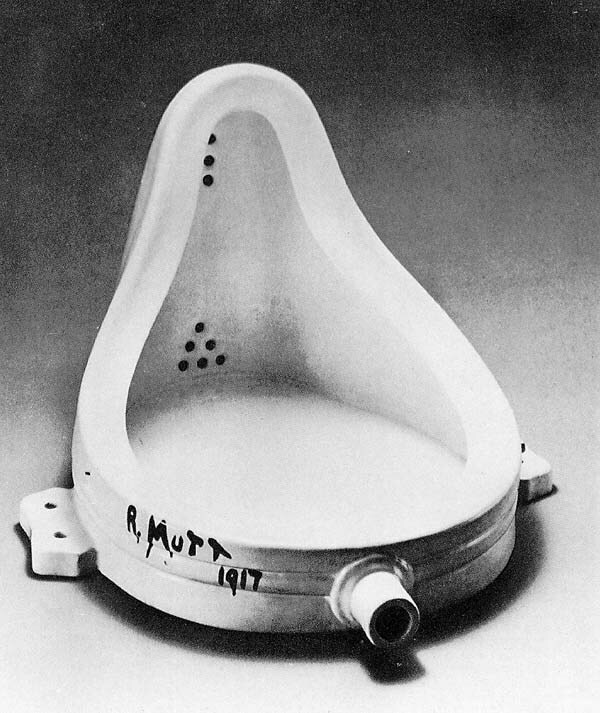 Burr's taking something that already exists and is rebranding it as his curatorial choice, à la Duchamp's "Fountain". And then selling it. I don't know if it's annoying or brilliant. Or both. "This is a beverage, created by one the world's foremost libation artists. 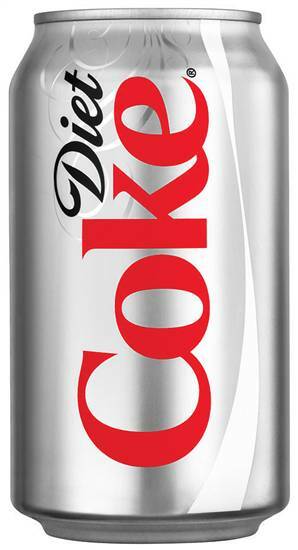 It's not just a drink, it is fuel for the microchip revolution. Drinking this work of art places you in a pocket of well-being, where you feel uplifted, your essential you-ness enhanced. $50, please." Commenters under Burr's video and on Now Smell This are a little fuzzy on the concept -- not everyone's embracing the "artwork" approach. They want notes, they want a review, they don't want to pay $50 for a perfume they won't like or worse, already own. But Chazzy B's not concerned about that -- he's in full "thought experiment" flow, here. I don't think he's particularly advocating the purchase as something you might wear. Instead, it's more of a collector's item that you might have on file when you're in the mood for a whiff of something well-structured with the power to dress you in “background radiation of the most gorgeous kind”, as he says in the video. However, people are responding more to the mystery and getting into the guessing game aspect, which must be driving CB round the twist. I'm imagining some comedy fist-shaking in the privacy of his bunker: "What part of 'reassessing a toiletry with the artist's eye' do you people not understand?" This is such a minor thing and yet there's so much to discuss. At first, I couldn't understand quite what was going on; CB seems almost deliberately unclear in describing the project. But after a third pass it became obvious that, yes, he's simply dumping a commercially available perfume into a bottle without a label and mailing it to people. Weird. Because he's ambiguous about the project's intentions, people don't seem to understand that guessing the perfume is the exact thing you shouldn't do. (That's the whole point of sending it without identification, to encourage people to experience perfume without all the traps that knowledge creates.) So I understand his frustration and yet if you know anything about the perfume community, you know this is inevitable. People like showing off. If you read only Basenotes, you'd think that was the whole point. 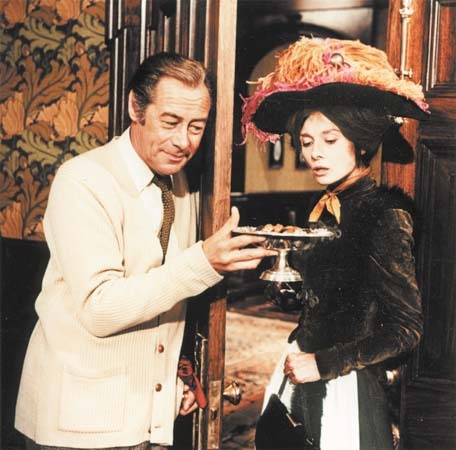 But CB wants to be Henry Higgins to our Eliza Doolittle. This isn't something we're all experiencing together, this is something CB is showing us, teaching us, and it seems he'd be better off with a bunch of perfume novices. But why would a perfume novice pay $50 a month to get a unlabeled bottle of...something? "The diffusion and structure is perfect...and it's scrummy with cocoa!" This seems like the online version of his scent dinners, where he'd pass out perfumes, pontificate and then get feedback from people. CB is an odd duck in that he seems curious to know what people think, while simultaneously wanting to direct them in their thinking. I guess I'm more fascinated by this than I first thought. Does he believe people's experiences are infected by seeing a perfume brand, reading its notes, knowing its creator? Isn't that similar to everything else? And might these "extraneous" elements be as essential to an experience as anything else? And why does it matter? Anyway, I've signed up! Which means I'll probably be paying $50 a month to get a decant of something I already own. Or worse, have tried and don't like. But I have a feeling this experiment isn't going to last long and I want to be on the ship's deck when it sinks! "This sounds like your explanation of L'Eau d'Hiver. I'm guessing it's that." Well, KP, that person who guessed L'Eau d'Hiver was correct. My 50ml arrived today, I took one whiff, and I was finished. What do I do now? I've doubled my supply of L'Eau d'Hiver, a perfume I like but don't often wear. It seems this project has already reached an impasse. So, I take it you're signing up for next month? UPDATE: S01E01 has now been revealed as Infusion d'Iris eau de parfum by Prada, throwing Dan into an existential spiral. Don't care, no problem here. Chandler Burr is a kickass giant in my Hero's Pantheon, so I wouldn't really care either way. I'd gladly shell out fifty fat bones for the chance to do this. Even if I already had sampled/owned the scent! Because then the CB one would be the "perfume I already love that Chandler Burr thought I might, also! Try some - it rules the school!" In other words, I'm in. Bring it. Burr's books on perfume and the personalities behind them are, along with Turin and Sanchez' "The Guide", are the essential texts for this whole fragrance caper we're on, as far as I'm concerned. No flies on CB. And I'm all for trying to do something new with the perfume conversation, which isn't easy. (I speak from experience: YouTube perfume reviews took a loooooong time to catch on.) And I'm an arty-pants myself. Though it may come off as a tweak, the fact that I align Burr with a prank by Duchamp is a sign of respect. And even if the Untitled Series peters out, it's already a success based on how we're all talking about it, analyzing it, trying to figure it out. Wow, Stef. Represent! OK, I'm bringing it. I went ahead and looked at the YouTube comment, and now that I know what it is, I'm sorry I didn't sign up this one time (I'm assuming all of the bottles are sold out by now). As a not-well-to-do twentysomething, I would've appreciated the deal; however, I'm not really in a position to shell out $50 for an unsniffed mystery potion. Le sigh. Lydia, you have a point - $50 was value for money in this instance! Next time, it could be Tommy Girl, and then you'd be steamed. If it was Tommy Girl, I'd be boiling. And for that price, I'd expect at least a pint of it. Well, Lydia -- and Miss Puckrik-- I have to tell you that in Luca's opinion Calice Becker's Tommy Girl is an exceptional, expertly constructed work, and I agree completely. And, see, this is exactly the point. The question is what percent of your reaction to this scent is "Tommy" and "Girl" and "Hilfiger" and aaaaaaaaall the cultural stuff, the detritus that gets dragged along with it in the nets of our own values and egos and knowledge and prejudices. And what percent is Becker's work. I want The Untitled Series to give you the work free of prejudice (either against or for). It occurs to me that Tommy Girl is actually, for obvious reasons, one of the scents best suited for inclusion as an Untitled. Aaaaay - it's Chilly B! (How do you like these rap personas I'm fashioning for you?) Actually, I'd figured you might have Tommy Girl cued up and ready to drop for precisely the reasons you stated: it's a fine perfume ripe for reassessment beyond the clutter of its teen following and cultural baggage. But for those not entirely committed to the spirit of the Untitled Series, getting a drugstore delight for their cold hard cash might be bummer-esque. But now that everyone knows what they're getting into, the whiners should be weeded out by round two of the series. Oh dang, HEY CHANDLER! I watched your TED talks in Budapest and Cambridge today, your enthusiasm is totally infectious. Major kudos to you for taking the time to respond to the peanut gallery, myself included. I used to wear Tommy Girl religiously as a teenager, and I've very much enjoyed Ms. Becker's creations (J'adore, Beyond Paradise) throughout my life without knowing she created them. If I could afford it, I would take you up on the challenge to revisit any of these, as I agree that the evaluation of art can be unfairly biased due to external facts about the composer, the patron who commissioned the piece, etc. However, there's undoubtedly a reason for the "prix-fixe," and I realize that bemoaning the expense doesn't offer any meaningful commentary about the project itself. Like everyone here, I'm very curious to witness the outcome of your experiment. KP, I hope you don't consider me a whiner. I'm just glum that I can't participate directly :(. You're no whiner, Lydia. You're engaging with the conversation, not rejecting the entire premise outright as others are. Not that - as the classic "Seinfeld" expression goes - there's anything wrong with that. After all, it's only perfume, fer cryin' out loud! When I can get a sealed 1 oz bottle of long-discontinued 'Vers Toi' parfum by Worth on eBay for barely $15 more. But then again, I've been spoiled silly by good fortune at online auctions for the most sought-after scent treasures. The "lucky dip" aspect of CB's project is part of the gambling fun here. Hmmm...maybe I should decant all my sealed bottles of vintage Cabochard, Djedi, Chamade, Caleche, Flora Danica, Nombre Noir, L'Heure Bleue, L'Air du Temps etc etc[add another fifty classic names here] into little 3 ml vials & organise a similar project for a fraction of the price. On a side note, I must praise CB for his ability to eloquently speak on the power of perfumes.I think I developed that opinion by watching one of his expositions on perfume notes in an online video. But in that respect, KP is still numero uno in my books. DomP - sidebar on your incredible selection of vintage perfume - Flora Danica? Really? I know it's not as big a name as some of your other treasures, but that is a sentimental favorite of mine because my sister loved it for many years. It's impossible to find (I thought) - I'm impressed anew with your hunting and gathering skills. If EVER you want to act on this philanthropic decanting mission, I'll pay you good, hard-earned American cash for them. That's very encouraging of you. But for now,I'm willing to do it on a small scale, on request, & gratis because the current state of perfumery where companies fall over each other to foist cheap formulas in the form of unnecessarily expensive flankers upon unsuspecting, credulous consumers annoys me greatly, and this is my way of registering my protest against that. But then again, my limited supply of olfactory orgasms will likely not get bigger over time, and at some point, I may have to think about moolah like everybody else. So remove the label, the packaging, etc. Then based on what are you buying the perfume. Oh I get it: it's based on the fact it's being sent to you by CB. So, the fact is it is still packaged and branded, anyway, only it is no longer about the official brand, it is about the CB brand. An awful, vain and self-important 'experiment.' I pity anyone who buys in to this project for their lack of belief in their own critical function, and for overevaluating the opinions of a Luca Turin knock-off. As for the statement about 'bringing scent to life online', I think you'll find the only corpse that needs reviving is Chandler Burr's if he is so brain-dead to what actually goes on on the internet that such rubbish can come out of his mouth (one presumes that's the orifice). Or maybe he is oblivious to everything that does go on on the internet because it is not about him. I guess the question that arises from your "why does CB's opinion matter more than anyone else's?" point is "who is the target audience for the Untitled Series?" It's Dan's observation that perfume novices might be the right crowd. But a case could be made for the grizzled fume veteran using CB's game as a opportunity to approach familiar fragrances with fresh nostrils and a different mindset. The game is only fun to play, though, if you rate and respect the gamesmaster. True. But at the same time, you would need to have a good working knowledge of perfume to make that judgement, and also potentially of perfumery criticism in order to make that judgement on the gamesmaster and his opinions. Besides, you have to ask yourself what the rules of the game say about you as a participant and also about the gamesmaster. To me, they are absolutely complimentary to him. Then, there is the fact that his name is on the project and he is sending you the perfume, so that is still a matter of branding. And regardless of any consideration of chandler Burr's critical abiltiies, the fact is the that in itself contradicts what the alleged nature of the exercise. To my mind good critics are equally self-critical of what they produce, and this project based on its original concept, is the product of someone who isn't. For example, take that webpage you provided a link for. He has a scanned in signature on that page. He is signing (branding) the project, and what he is sending to you, as uniquely his. Only, he is removing all other branding in order to do it. In response to whether this project is brilliant or annoying; I am absolutely for the latter. And if anyone want to put themselves in a submissive position to Mr Burr, that is their choice, but personally, I'm not into olfactory master and slaves set-ups. Fair point that Burr's removed the original branding and replaced it with his own. He's the "perfume D.J." making the selections at this particular disco. "the only corpse that needs reviving is Chandler Burr's if he is so brain-dead to what actually goes on on the internet that such rubbish can come out of his mouth (one presumes that's the orifice)." It's always a great irony when people who say things like this say them anonymously. Give us your name, then write that sentence. Look, I have no idea why you're so angry, and I'm sorry you are, but two points. First, yes, the Untitled Series is about my brand. It's also possible because of my brand. Very frankly if you had worked as hard as I have on two books and all the rest, you might also be in a position to create a project you love and believe in. I've become fortunate. Clint Eastwood said the only good thing about becoming known is that it allows you to create things you really believe in. Second, the Series is what it is. It's not some exercise in hemeneutics. All this interpretation you're doing-- good god, it's quite straight-forward: a chance to listen to my assessment of a work of olfactory art and, if you choose, to experience it in a way most of us-- including me, by the way-- rarely get, with none of what Steve Marmoris once referred to as "value added." And Steve's right, traditional marketing is one way of choosing and experiencing perfumes. The Untitled Series is another. Relax. If you don't like it, don't buy it. All good points, Chandler. But if someone, let's say me, has already experienced hundreds of perfumes, a good many on your recommendation, and along with them, all of the marketing and cultural stuff, and because of this recognizes the perfumes in the Series, how can I appreciate them out of that context? I don't ask this rhetorically and I don't assume there isn't some way of re-experiencing these perfumes, but I don't know what it is. When I received the first in your series, I smelled it, recognized it, remembered exactly when I'd bought it, when I'd worn it, what you had written about it, what Luca Turin had written, and I went and made a sandwich. Your ambition is appreciated but for people who have tried lots of perfume, and read lots of perfume writing, is there a way to put the genie back in the bottle and experience the Series as you've intended it? The reactions to the Untitled approach -- not just to the scents themselves -- must vary quite a bit. I've had one other person so far (I think she got the first of the 100 bottles) identify it correctly, and for her, despite knowing what it was, the de-contextualizing of the work allowed her to experience it in a different way. She talked to me about the fact that it was in a lab bottle, looking at the lab bottle-- it forced her to rethink, and refeel, it. I'm experiencing the entire range of reactions to this project, from positive to negative. Part of it is based on having heard CB speak a few times. Mostly, I've experienced him as knowledgeable and contagiously enthusiastic. In this light, it might be fun to participate in this. But I've also seen him present to an audience as the irritable critic who believes that his way of experiencing fragrance is the only way. So, what if I don't agree that fragrance S01E01 is "beautiful", "extraordinary", "best- made on a technical level" with a "volume that is never too high or too low"? Am I unable to properly appreciate fragrance? I was tempted, but I didn't buy in. I listened to the video and the more I listened, the more I liked the description. But no matter how technically well-made the fragrance is, there are some materials in a fragrance that I can't wear. Certain musks, high levels of ambroxan etc. So I was afraid of spending the money on something that would just sit, perhaps admired, but unloved, in my collection. It seems if CB truly wanted to promote discussion, he'd say nothing at all in advance. But that might make it too difficult to lure customers to spend their $50. Though not me. Apparently, I'm game for everything. Melisa, no one with any understanding of art believes, or could believe, that his way of experiencing it is the only way. I can appreciate that he's trying to make people look at perfume without prejudice. I'm guessing part of the game is to surprise fumeheads with fragrances that they would have previously dismissed? "Surprise! It's Britney Spears! Too late, you said you liked it!" In theory, I think it's great to challenge your ideas, but I think that the individual can do on his or her own, by experimenting and reading and talking with other people. Also, some of these fragrances don't really deserve a fair chance in my book. There are so many truly wonderful perfumes, so what if I have a bias against "Unforgivable Woman?" Am I really missing out if I don't give an objective opinion of this one? Somehow,I doubt it will make me sigh. What I *would* pay money for would be a lecture by Mr. Burr with decants passed out, and his thoughts, along with a discussion or questions being answered. Haha - punked by a surprise decant of Britney Spears Hidden Fantasy! Nora, I agree that the ideal forum for this "Perfumes Unplugged" project would be a live-and-in-person group discussion scene. I'd pay for that too! I'm inviting world-class artists to talk about their works of scent art, which will be passed out, experienced, and discussed by everyone there. 144 seats. Also by everyone not there; I'm encouraging twittering and live commenting. Cell reception is pretty good in the Theater. The first DOA lecture is scheduled I believe for November 15. Mr. Burr, thank you for your kind reply, you seem like a lovely person. I appreciate the hard work that you've done to give your readers so much enjoyment and insight. Also, thanks for the link! I will join Twitter for this reason alone. I wrote a post on this topic a couple of weeks ago so I won't repeat everything I previously said (it's similar to many other people's opinions and since I do not post too often it's easy to find on my blog if anybody is interested), I just want to mention that even though originally I was really annoyed by the project now I feel much better about it. Why? Even though I do not condone blind buys - CB-approved or not - but if to look at it as a fundraising event it's not that bad. It's not the most stupid way of spending $50 on impulse. I just wish I read "Mr. Burr donates all after-tax profits from OpenSky to the Department of Olfactory Art at the Museum of Arts and Design, NY." on the page that described the first offering. I wouldn't have participated anyway but I'd have felt better. undinaba - thanks for alerting me to your post. Your points are well made, and all the comments on your post are so interesting, too. Boy, CB really has us all talking, doesn't he? You mention the fundraising aspect of the project, but realistically, I can't see that there will be much in the way of funds raised with this particular offering, what with the outlay for the perfume, decanting supplies/labor and Chandler and crew's time putting the project together. I see it more as a non-profit PR exercise to drum up interest in CB's Olfactory Art department. And it's working! Katie, to clarify a point, this definitely isn't decanting. I approach the owners of the various works that I like and want to put in the Series. When they give me permission they also call the scent makers-- Givaudan, Firmenich, IFF, etc.-- who then prepare the formula in appropriate alcohol solution, bottle it in 100 lab bottles, and send the bottles to Open Sky's fulfillment warehouse in Connecticut, where the labels, "The Untitled Series S01E02" and so on, are put on. The hundred bottles ship from there. That's an interesting tidbit - thanks for the insight. Although I quite liked the image of you in rubber gloves fumbling with funnels and bottles in your kitchen, a pile of labels and bubble-lopes stacked up in the corner. CB: "Today, TODAY THE WORLD WILL KNOW AND UNDERSTAND THE POWER OF.....SCENT MOLECULES! Mwaha! MWHAWAHAHAHAHA! Katie: I love Mr. Burr. What a voice and an advocate for the Fragrance community. Articulate, eloquent and a classical voice representative of all the artists that have put their heart and souls into their formulas and complex compositions. To have such a spokesperson for this artistry is a GODsend!! !~ I feel the exact same way about you and Dan. You two have elevated all of our consciousnesses to an incredible level. I am sure as Mr. Burr really gets started he will bring so much to the table for all of us to feast on. I cannot wait to absorb his passion and expertise on all of these fragrances he will sending out. If you click on the left-hand side of the page and click – "GIFT SET" you can get it in a smaller size and half the cost, just in case you do not prefer it. I have been salivating over it for months and still have not bought a bottle of it. It is $235 U.S. The Gift Set is $145. If you or Dan would ever purchase it, I would LOVE to hear your opinions and feelings about it. Love the incredible repartee on this post. You have some seriously intelligent and articulate respondents pertaining to this post. Just awesome to read the diametrically opposed points of view. For people to sit down and type out such passionate and heartfelt responses is exquisite. Very engaging….. Thanks Byron for your gush of perfume positivity! Dan already knows what CB's selection is, but I don't want to spoil it for others still enjoying the mystery. I've worn Santal Massoïa a few times now. It's interestingly vegetal and milky and sweet without being sugary. I liked it until I started to think it smelled like fig, which is a smell that really bugs me in a perfume. Not that it's a bad smell, just that I don't want to keep smelling it on myself. But I do think it's a beautiful perfume - just not for me personally. Byron, you're such a sweetheart to say those nice things that I want to give you a reply. S01E01 is not Santal Massoia, although I love that scent and they are aesthetically not distant. Different artists however. Good Evening Mr. Burr: I cannot BELIEVE I am typing a response to you!! !~ I feel so HONORED that you even responded. I. AM. NOT. WORTHY!! !~ That is precisely the lecture I saw on TEDx. It was POSITIVELY BRRRILLIANT - What blew my mind away was that you were talking from your heart and soul. There was no teleprompter. Just a huge screen with the next work of art you were about to discuss to the audience. Your presentation and passion was AWE-inspiring. If I recall, I did not see one person get up and leave that audience. They were all hanging on every word you presented. Please, Mr. Burr - - This Art form desperately needs you. You, Katie and Dan have elevated my awareness to a level I never even knew was possible. I love your adjectives, superlatives, metaphors and literalness. Just great. You, Sir have benefitted all of us. I want to personally say THANK YOU for your time, effort and incredible generosity. There has never been an inappropriate comment from you when presenting a Perfumer's Work of Art. You present each Artist's work with dignity, truth and love. Katie and Dan are the same way. TOTAL CLASS and COUTH. Despite the rebuffs and snarkiness, all three of you have taught me a level of class that I need to work on. Your responses are truthful and breathtakingly respectful and polite. Mr. Burr – when I come to this blog, it ALWAYS gets me in this supernaturally great mood. Even when I cannot express myself as gorgeously as you, Katie and Dan, I have never been rudely addressed, dismissed or trivialized. Let me tell you what needs to happen. You, Katie and Dan need to get together in a televised forum with a proposed outline and then, I would love to see all three of you UN-LEASHED!! !~ Come on folks, we have the technology. Let's make it happen!! !~ The well of information, energy and excitement would probably tilt the earth off its axis. Seriously. I do not know if you have ever seen Katie on a television set, but her class, poise and demeanor is AWESOME. She brings everything to the table and never disappoints or is flat and vapid. She seems to bring a JOY to the set and it is very contagious to everyone on the staff and the viewer. You're a gem, Byron. I'm guessing you have a busy schedule and so this is probably out of the question, but I want to hire you to give me daily pep talks and perhaps announce me before I enter rooms. Hi, Byron. I've not only met Katie, she's interviewed me and she's the most important video blogger on perfume on the internet. As for "I'm not worthy," c'mon, man, of course you're "worthy"-- hell, Katie, Dan, and I are just happy to have passionate people like you follow our stuff. I wonder if Chandler Burr was influenced by Thorsten Biehl's Biehl Parfumkunstwerke series ?.It is a similar concept, where the perfumer's creation's are presented in plain bottles, without marketing or packaging and all emphasis placed on the scent itself. Even the fragrance titles are very similar, with Biehl's eo01 & Burr's SO1E01. Naw, two different things. Burr's deal is about stripping a known work of all identifying factors for the purpose of experiencing it without preconceptions. The Biehl Parfumkunstwerke line is a regular commercial enterprise - it's got the perfumer's name right on the bottles (the initials, anyway), and the description and notes are listed in great detail on the website. The only similarity is that the names are acronyms. I find the project pretty interesting and I would be happy to join, if t wasn't for the fear of getting something I really hate or, even worse, already have. Chandler Burr is amazing, so are LT and TS but I don't agree with their tastes all the time. I understand the appeal of the project to someone who is starting to get into perfumes, helping them to enjoy the scent for what it is, and not because of the label or the name of the house behind it. Also for collectors, who can appreciate the value of something limited, carefully chosen and endorsed by a great critic. But it gets a little confused for the average fumehead like me, who sniffs everything, all the time and buy the ones she/he really likes. Anyway, I wish CB all the luck with this project! Sometimes what you hate at first, you grow to love after giving it a rest & returning to it months later. For example,I hated the parfum concentration of Liz Taylor's 'Passion' when I got it two years ago,but now I am awestruck at its ability to embody the colour PURPLE like no other. Yet it's written off as a 'foghorn' by some who think they know better, but ultimately, your nose is the arbiter of what enriches the timbre of your sensations. Perfume defies description,and any attempt to lock descriptors onto a scent composition('volume...never too high or too low') is ultimately futile, because no two noses are the same. Just read the myriad varities of opinions on just one perfume on Fragrantica ! Everyone's opinion is equally valid, adding texture to the mystique and rich allure of a potion that is able to be so many things to so many people! The palate continually evolves. Love turns to jadedness, hate turns to firey lust. The more we expose ourselves to the sensory cornucopia out there, the more far-reaching our appetites become. As for "Everyone's opinion is equally valid", it's certainly valid to the person with the opinion! The usefulness to others trying to get a bead on a perfume depends on the context: what you know of reviewer's personal bias, or of their relevant experience, or of their kinship with your own tastes. It's like reading the customer reviews on Amazon: to tease out the info you need, you have to weigh up who's blowing off steam vs. who's given the product a fair trial. I can see from the comments that there are some cultural issues that are going to make this experiment kind of tough for Chandler Burr to pull off. I think we have all been trained via marketing and our acquisition culture that a fragrance only has, for lack of a better term, narcissistic value. That is to say that we evaluate it in purely selfish terms: do I want to SMELL like this? Will this make me more attractive or appealing? Does this enhance me? And if we find it does not, we dispose of it and move on in our shopping quest without giving it much more thought. NEXT! But I think Chandler is suggesting that fragrance can be something more than just a pretty and appealing smell we use to scent our bodies. It can be an art. And art does not always reflect on us in easily digested and readily appealing ways. It does not always make us feel more comfortable about ourselves or enhance our beauty. Even some art widely considered to be brilliant might be very unsettling to find hanging in our living room. Think Joel Peter Witkin or Francis Bacon. I believe Chandler Burr is attempting to strip out as much of that narcissistic context as he can so people are free to simply evaluate the scent for itself, in a vacuum, as a work of art. No Lara Stone. No fancy bottle. No store or sales clerk. No brand name. No fragrance notes. And no thoughts of whether you should buy or whether it's "right" for you. Because you already bought it. And stripped of all that consumer noise and narcissistic responsibility, he is hoping that you will be free to simply "listen" to what the fragrance says and does. But reading the comments, I can see that it is going to be very difficult. Because even with Chandler stripping out all the clutter, people still cart in that consumer baggage on their own. They positively insist on it. They NEED to know the name so they can decide how they feel about this. But while they are expressing the attributes of a well trained and experienced shopper, those people are also missing the whole point. The $50 is for the blindfold. It is for the silence and pristine white walls of the gallery. The bottle is just a bonus. Heh - take away glib snarkiness, and the entire blogosphere would collapse like a house of cards. As to your comment, I don't see perfume appreciation as an either-or proposition between cheap commerce and pure art. I do appreciate CB's initiative to experience perfume in a new way - a way that adds to all the methods we already interact with fragrance. But while there's no doubt that there is a certain amount of status-and-cultural signalling in wearing perfume, its appeal from ancient times comes down to something much more basic: people love smelling good. It's uplifting. It's transformative. I agree with Byron -- great comment on the project's difficulty in separating a commercial product from its origins. And since the after-tax proceeds go to the Museum of Arts and Design, the $50 is *literally* for the white walls of the gallery . . . which, if OpenSky shipped these bottles internationally, I'd be happy to support. I caught an exhibit of a collection of Madeleine Albright's brooches there a few years ago, and thought it was great. Mr. Branch: I cannot believe you responded to my response. This has been an incredible evening. First, Mr. Burr and now you. Are you flippin' kidding me!! !~ I am so sorry that I hyperventilate when I type. Mr. Branch, have you read your Blog!!!!! OH. MY. WORD - - It is not of this earth!! !~ Your due diligence, your photography, your writing, your artistry, your generosity of CONSTANTLY bringing other Artists to your Blog and elevating them to the spotlight that they truly belong in is so commendable, it makes me speechless. How humble and kind of you to showcase beautiful artisans while you take the backseat and let them shine. I. LOVE. ARTISTS! !~ Like I have said to Katie before, they really do bring so much beauty to our lives. You have got to be one of the kindest human beings on this planet. I have been reading your blog for about 3 years now. Where in the world do you get all of this knowledge. I feel so out of my league when you folks type a response. As if all of that were not enough - then you put your life and soul out there to the world and discuss your personal life and things that you have encountered which are great to read, by the way. I hope Katie can forgive me for rambling on with you. Your writing is incredible. I have yet to this day to ever find a misspelled word. The hyperlinks, the serious research and development you put into each blog entry is STAGGERING!! !~ You should win an award for excellence!! !~ I am just completely freaked out from this blog entry, I am so sorry, I cannot be quiet. I wanted to say this to you for YEARS. What really impressed me about you is when you gorgeously photograph artist's perfume/cologne products or anything for that matter that has been sent to you. If that were me, I think I would explode from such kindness that someone felt, which I created, would be written and photographed about so beautifully. You always do that!! !~ Always lifting people up and presenting them with truth, insight and integrity. You are a good soul. Byron, that's all exceptionally generous of you to take the time to type (much less think! ), and I hardly know what to say except thank you for visiting my site and appreciating the effort that goes into it. I can certainly understand why Dan wrote that he wants to hire you to give him personal pep talks. I think he and I might have to engage in a bidding war in that respect. Byron, I knew there'd be competition for your services (I expect Chandler's people are also preparing an offer) and so tonight I took the liberty to make a deposit in your bank account, no obligations. Your move, Branch. The way you do them, they are. I wasn't really interested in this exercise at first figuring it might be something I don't care for, and fear that we might be being "played." This is my life view on things, I must admit, and it's not something I'm proud of. But now I'm thinking this could be an exercise in trust. If Burr doesn't hold people who love perfume in contempt, and that's a big if from my pesky but persistent POV, then why would he lead us wrong? If he comes from the point of view of not, "You're all such lemmings, you don't know good from bad because you're seduced by marketing," but rather, "Let's celebrate the beauty of this composition - I want to share my discovery with you," then maybe I should be open to receiving his generous offer. But that pesky point of view can help but wonder, "What if I"m paying $50.00 for something that can be had at CVS for $12." Since I'm a little broke at the moment, I guess pesky point of view wins out. Kym, I do believe CB is going for "Let's celebrate the beauty of this composition". And if you fully commit to the pie-of-the-month deal, the more expensive perfumes will offset the drugstore offerings, deal-wise. But they'll all smell good, I reckon! 1. Once upon a time I loved books authentically without any concern for what critics or other people thought. I had a sincere emotional response and found great joy in experiencing them, and relating to life through them. 2. I earned an MA in Literature from a prestigious university, intending to become a Prof (and did not continue on to get a PhD) because I managed to break my own connection to the art. I could no longer "feel" my response. I had become too concerned about what critics thought - and too frightened of being considered foolish by fellow academics if my critiques were "wrong." This fear handicapped my ability to authentically respond to art, and in a way, to respond to life. This is no way to live! So I quit academia. 3. I taught myself to read all over again. I had to regain the confidence to trust my own judgment, critics be damned. Now I can read and enjoy literature again - and I also read and enjoy pop culture stuff, guilt-free. And I no longer force myself to read difficult postmodern texts unless I actually ENJOY them. Thank god. It's become fun again. I no longer relate in quite the same profound way though, to literature - there's a distance now, and I space I probably will never be able to cross again. I believe this same problem can be encountered in ANY artistic field, especially one heavily influenced by commerce (and aren't they all?). Perfume is no exception. If anything, it's deviled more by commerce than most - especially in the modern age of marketing and focus groups. I think what CB is seeking to do - is to allow us to experience perfume without the critical hype surrounding it - to have a DIRECT connection to the art of it, and I think that is a brilliant and beautiful thing! I'm all in for having my preconceptions challenged, and encountering something in it's nearly "pure" state - without too many social ideas attached to it yet. It becomes a profoundly personal and direct experience. I LOVE that. Thank you CB! Thank you thank you! Now, of course, yes - CB is playing the maestro. So there IS one critical voice, and a huge one, already in the room: CB's. But I think he's aware of that - and there's really not much he can do about it anyway. His voice/opinion is a necessary evil - just like the film camera is a necessary evil (and good!) for a documentary film photographer. None of us can escape our bias - CB included. So, we just have to accept that very real human lens which is CB - and enjoy it (because it IS a great lens! Love your work CB!) - because without it this experiment couldn't be conducted at all! And then just remain aware of the lens as we make our own assessments. It's a lovely scent, quite unisex and subtle - and yes, my first thoughts were "JCE" and "probably Hermes" - since it's very much in that style. So it's DELIGHTFUL to hear that it was a different artist. It means that the experiment is working - and the scent is already challenging my existing expectations. Finally, to me the $50 is not for the fragrance. It's for the experience. It's a ticket for admission to this game. A person can choose to play or not play. But the bottle is really just a souvenir - or perhaps a nice prize! Anyhow - hats off and well done. Thanks again CB! Wesley - thanks for sharing your experience. The reading analogy is apt. It sounds like you were able to put the genie back in the bottle, as Dan put it in one of his comments, for books as well as the Unscented Series experience. It's a tough thing to shield yourself from your self-consciousness, to feel wonder anew. My reviews are always sincere, because what would be the point of bothering otherwise? I do like to have fun in the process, but ultimately, I tell it like I smell it. Sometimes Dan and I do drift away from our insatiable enthusiasm to try new things - but any ennui is overcome by the thrill of new olfactory stimulation. And so far, we do keep finding new things to get excited about. That's what keeps me going. Wesley, This is where Chandler's efforts are commendable: many of us occasionally feel jaded because, as you say, we've experienced an incalculable number of perfumes, and CB's project urges us to rediscover the artistry in them. And I swear I'm trying! Unfortunately for me (and also for those around me), hyper self-consciousness is in my nature and succeeding at this project might require a lobotomy. Do they do those anymore? Dan - your self-consciousness makes it possible for you to write that crazy Demeter Lobster post, which I ADORED. Love, love it. With the whole self-consciousness / increasing knowledge problem - it really is such a fine balance - I want to learn more and more - because understanding adds exponentially to the enjoyment! At the same time, the more you learn - various dangers creep in. 1) You also learn about the cultural politics and "taste wars" - and liking certain things and hating others becomes a signifier of class/intelligence, and of being inside/outside. Most people don't enjoy being excluded or frowned upon - so it takes a special kind of awareness and strength and self-confidence to IGNORE all that noise and just keep liking what you like, authentically - rather than hiding in the herd and saying, "Oh yeah - what the cool kids like - I like that too." I'm glad CB is trying to make everybody more aware of that. Being a cool kid himself, it makes the experiment already a little flawed - but it still started all this conversation - so that's good! 2) There's the less-toxic-but-still-annoying danger of losing track of the "But does it SMELL GOOD?" rule. (Or, in Lit, "Is it a good STORY?"). I know "smell good" is subjective - and that's totally fine. But I do think that the more you learn - you can get hung up on whether something is structurally cool, or if the fabrication method is innovative, the materials spiffy and novel, etc. And all that stuff IS really interesting and dandy. It only becomes a problem if it overshadows the primary goal: which is smelling good. Like, I don't CARE if it's the most innovative construction ever, unless it ALSO SMELLS GOOD. Or - if the word "good" bothers people - "profound/interesting/makes you feel something." I like to think the best art is accessible to the masses. It's not just reserved for some insider crowd. But it's such a puzzle because the masses do seem to enjoy smelling like Pink Sugar. And honestly I don't think Pink Sugar is a BAD smell, per se. Sugar smells good - but, I just don't want...it's so sticky...sigh. See, and then we get into self-consciousness again. Oh well. I'm going to go huff some Carnal Flower and stop thinking so hard about this. Odd that the original brand and packaging of the perfume didn't have that effect, but I do usually give up quite quickly whenever it's not love at first sniff. I hope I can get to OpenSky in time for the next launch, or at least some of them, and manage to experience pristinely something worthy that I can't identify, but, either way, this project will be an impetus to focus on some worthy 'fumes as art for a month at a time. News flash: according to Chandler, Dan is wrong about what he thinks the perfume is. Naw, CB wouldn't do that, nozknoz. I made a hasty guess that came from smelling what I expected to smell. (I messed with my own head.) But I'm certain my second...er...third guess is spot-on! In the meantime, I came to appreciate CB's project more than I ever would have had I been right the first time. Well, I've enjoyed wearing the formerly purported scent anyway, as well as the discussion. I can see a whole new set of expectations rushing in to fill the vacuum here. Meanwhile, the same two questions keep coming up: Why would a novice pay $50 for an unlabeled, expectation-free perfume? And: How could a veteran possibly refrain from guessing? My own guess is that if you are aware of Mr. Burr then you are probably at least somewhat aware of perfumes and perfumery, and therefore no longer a novice. LOVE the smell: buy it /hunt it down/swap for it/hoard it! LIKE it only : put it away at the limit of jadedness. HATE it : stay clear henceforth! Any attempt to measure your ENJOYMENT in terms of notes, structure etc ultimately DETRACTS from it. As though detailed knowledge of Rembrandt's etching technique really contributes to your visual enjoyment when gazing upon one of his works of art? Well, see, that's where I disagree Dom, that knowing about notes or structure detracts from enjoyment. Sometimes it does - but often times it doesn't! Quite the opposite - it helps me find what I'm looking for. - "Wow, this thing is gorgeous. Love it." - "Oh, okay it's XYZ note." Or vintage style construction, or a certain house, or a certain artist. Knowing more about what I love allows me to seek out MORE of what I love (call me greedy). But it's a way to focus my energy and prioritize. For example - Although I appreciate CS's work, I tend not to find Serge Lutens very wearable - so I spend less time/money there. But I *do* tend to like stuff by Chanel (the newer Exclusifs, less so the classics) and Frederic Malle - so I get more excited when I hear about a new release from those houses. And then, the more I enjoy an artist's work - the more I start to notice certain tools they use - like say, Maurice Roucel and that magnolia note. It brings a certain pleasure to notice it in different places - though I can't say why. I just get curiouser and curiouser. But...the savant approach "I will respond to this purely, without engaging the critical intellect" - well, that's certainly valid and valuable too. I think the trick is figuring out how to toggle between the two states. I totally agree that knowing more about the insight or genius of the perfumer does contribute to enjoyment,but trying to CAPTURE that ENJOYMENT in apt adjectives(eg superior diffusion) is a hair-splitting exercise that only appeals to the intellectual nerd in all of us. For instance, assigning the word 'beautiful' to a work of olfactory art begs the question of whether another metaphor like 'buxom' would improve on that description. But then, another connoisseur may not agree that she smells that part of the anatomy anywhere in the composition! Even if assigning a certain adjective to a scent is valid, what gives someone the right to stamp that opinion with such finality on a particular composition? The fact that one has written many books on the subject? Does the fact that one is the curator of a museum entitle one to tell an art-lover HOW to enjoy a work of art? It's too restrictive for me. Wrapped in humour, it can be a very enjoyable experience to defer to a so-called higher authority; but many readers of 'The Guide' disagree with how the authors pan many of their favourites, and puzzle at how a masterpiece they enjoy could be condemned with the lowest rating or vice versa. Well, ok, yeah. Guilty of intellectual nerdiness. But here's the thing - what's the alternative to labeling? Do we just turn people loose on a world with thousands and thousands of perfumes and say "go forth and smell?" It's like finding a needle in a haystack. The chances of encountering the sublime are much smaller. And I think the curators AGREE that it's a bummer, and they've found beautiful things - and they want to share those beautiful things. And that's great! Personally, I'll take my chances with the curators because I need to begin somewhere. I think the trick is to remember that curators are human - which means they are subjective. 3. Tried to understand and explain their own bias right up front, eg "I tend to love the classics, so I'm generally going to compare everything to Mitsouko, unfavorably" or "I'm one of those virtuoso noses and smell everything in technicolor, so you're likely to see me list notes that even hound dogs can't smell"
And also - we are all responsible for the degree to which we are followers, or we are afraid to disagree for fear of being branded as "ignorant." Ultimately it's on us to have confidence in our own choices. And frankly, it's usually not the curators who are out snubbing people for liking the latest Celeb scent - it's the other people who are not confidant in their taste, who are AFRAID of liking a piece of trash by accident, and doing it publicly. So - it's not the curators so much (though yes, some could improve by admitting their bias and cultivating humility) - it's the sheep! So I say: Ignore the sheep, and be willing to be stupid in public, and that will change the critical climate gradually. By the way, Chandler... you must be on to something otherwise the venom wouldn't be so poisonous. Hi, Normand. What you describe--I just read it--is the best idea I can think of for a fragrance retail environment. Aedes de Venustas and Frederic Malle in NY and Scent Bar in L.A. do a very good job of exactly this. Frederic's store is virtually perfect, the paradigm you describe: exquisite and unobtrusive design, elegant comfort, silence, a highly knowledgeable, patient staff, and as much time as you can spend living with the scents. I haven't been to the new Scent Bar yet--they just moved to a larger space--but am going next trip to Los Angeles. Post-Madoff & lost decade prudence? Definitely! Normand, I love that idea. And I love this blog for fostering the kind of discussion that I think was intended by this project, rather than the dull notes-projection-longevity reports that dominate most perfume forums. Katie's reviews are among the few that talk about how a perfume feels and what it evokes, and that's so great! So thanks to everyone. I've really enjoyed reading. Kristen, I deeply appreciate your comment. It's all good, clean thought provoking fun! And no animals were harmed in the process.